With so many beloved sports teams calling Chicago home, it’s no wonder sports fans of all ages flock to the city. Baseball season is in full swing right now, and Cubs fans are heading to Wrigley Field to see their favorite team go to bat. If you’re planning a Cubs game outing, here are some ideas to make the day a special one. This historic ballpark is a legend unto itself, but parking by the venue can be tricky. Professional car service for your party or group lets you arrive safely and in style, and eliminates the need to waste time circling the parking lot when you could be enjoying the game. Professional car service options come in a variety of shapes and sizes and can accommodate both large and small groups. Choose from party buses, stretch SUVs, town cars, luxury passenger vans, and of course limousines. 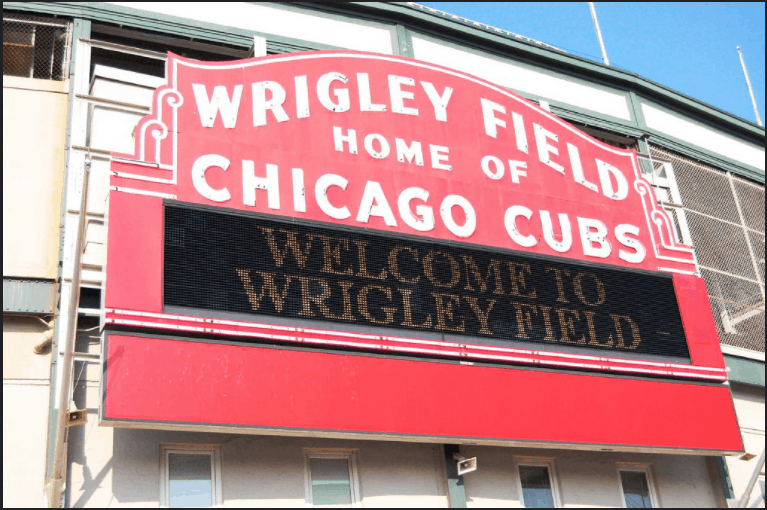 The neighborhood surrounding Wrigley Field is buzzing with activity on game day–especially at the intersection of Clark and Addison Street, where baseball fans of all ages can be found filling up on food, drinks, and fun. Check out favorite local spots like Rockit Burger Bar, which serves up gourmet burgers, fresh salads, and has more than 60 craft beers on the menu. Or try the Sports Center Bar and Grill, which offers mouth-watering pub favorites and drink specials. For a more upscale dining experience, try The Stretch Bar and Grill. It serves specialty cocktails and American favorites in a sleek cedar-paneled dining room. Groups with kids will enjoy the Lincoln Park Zoo, which is just 10 minutes away from the ballfield. Groups of adults should check out some of the area’s famous comedy clubs, like Second City after the game. You can even take a tour of Wrigley Field itself before the game—get an up-close look at the seating bowl, the indoor batting cage, field, and the bleachers. If you are looking for professional transportation for your Cubs game outing, Echo Limousine is the company to trust. Give us a call to book your car service today.